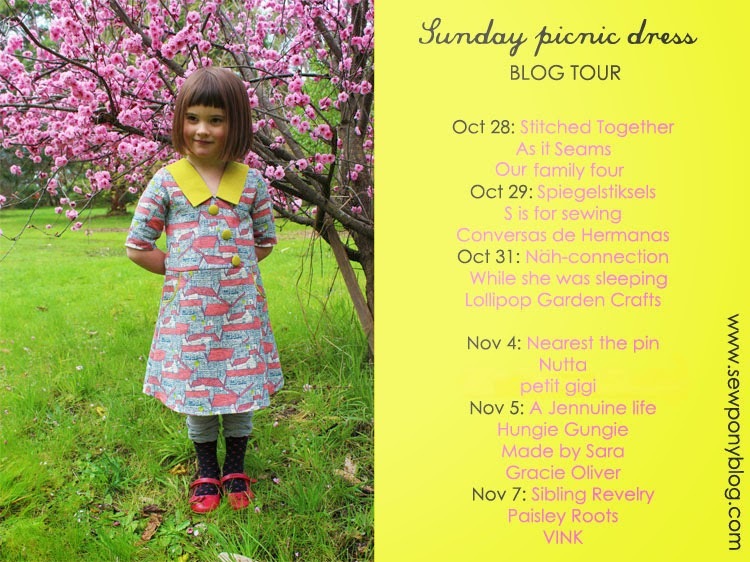 Today I have four dresses to show you for my Sunday picnic dress blog tour today!! For details on my pattern and for a 15% discount code, scroll to the end of this post. Today Jennifer, Erin, Sara and Rachael are sharing their dresses. 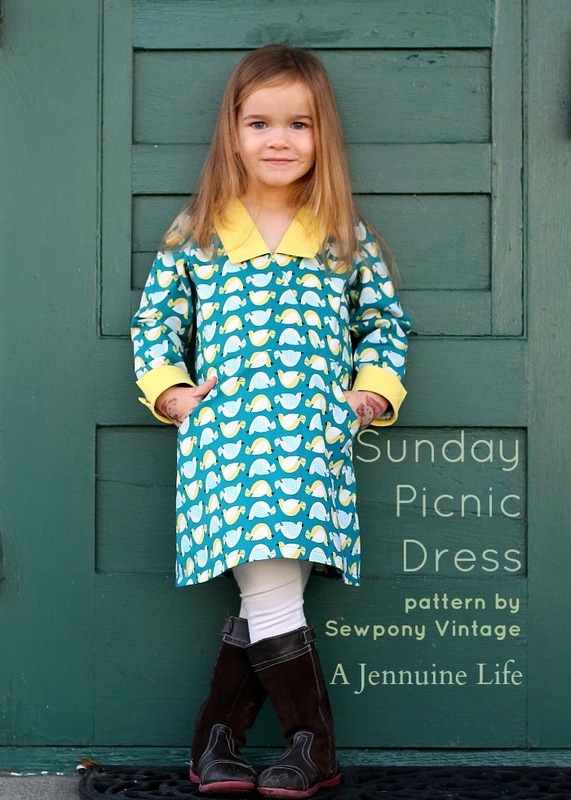 Jennifer blogs from A Jennuine Life and loves to sew for her two daughters. She makes her own patterns too - under her pattern label, Jennuine Design. She has six patterns/tutorials available in her shop so far (two of which are free) The Matinee dress and the LOL swing top are among them. Both have been very successful. 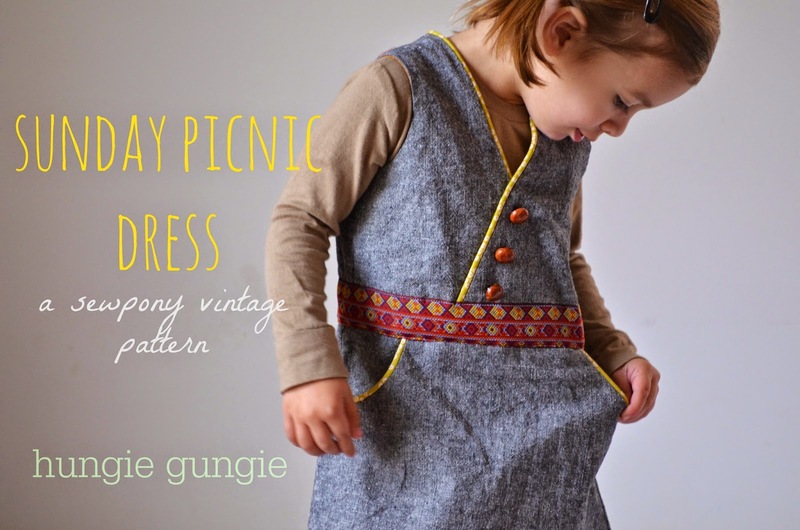 Have a look at this lovely Sunday picnic dress she made for youngest daughter, Hadley. Thank you Jennifer! Erin blogs with her sister Caroline from Hungie Gungie. Erin and I have been blogging friends for a while now and she is super nice and makes gorgeous clothes for her kids - two daughters and a son. A recent favourite of Erin's creations is this amazing dress she made for her older daughter Ellery. Her little daughter Coco (below) reminds me a little of my Emily. I can't wait to see more of Coco in her new Sunday picnic dress. Thank you Erin!!! I am a new follower of Sara's blog - Made by Sara. Sara participated in An and my I (heart) Marcel Marlier series with this gorgeous ice-cream dress. Sara lives in Portugal and I love her blog so far. Her sewing is lovely. 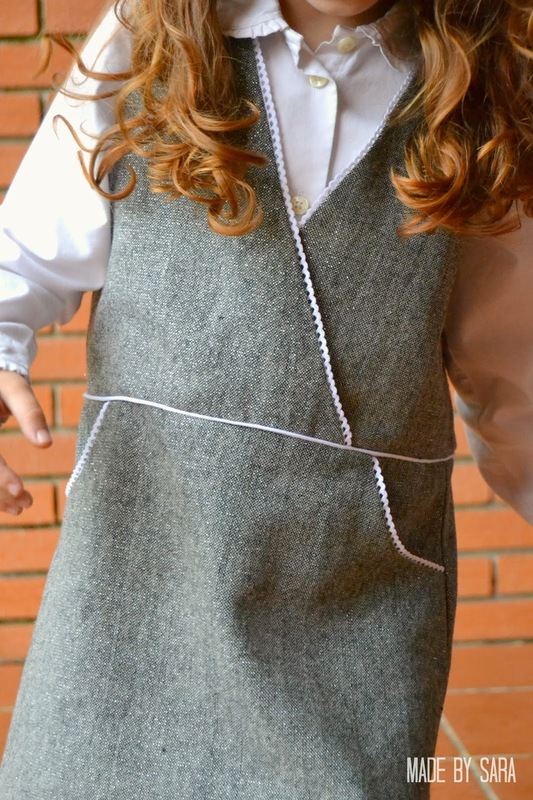 Head over to see this lovely grey woolen Sunday picnic dress. Thank you Sara! Rachael blogs from the brand new blog - Gracie Oliver. Rachael is a fellow Aussie and has been an encouraging follower of my blog and pattern making. 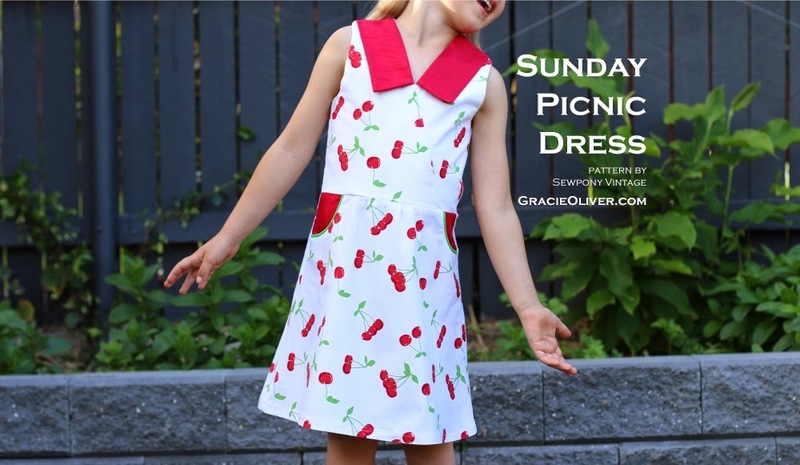 She has tested twice for me - including this lovely cherry Sunday picnic dress. Please have a look around at Gracie Oliver and say hi to Rachael and welcome her to the fun, friendly world of blogging!! Thank you Rachael! These are really cute dresses. Can you tell me if they are only for woven fabric or can you use knits?